Cooking is bigger and more important than most people realise when it comes to Massively Multiplayer Online (MMO) games. For example, in World of Warcraft cooking allows you to not only dish up some much-needed buffs and boosts to characters, but the skill also helps your team get past that one boss that is proving to be just a tad too difficult to overcome. It is also one of the most tedious crafting professions in just about every MMO. 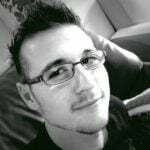 In many of the games that I have played, finding some of the ingredients is simply not worth the effort. Instead, it is much more convenient to just go to the trading post and trade/buy whatever is needed. Perhaps now, however, my opinion on cooking will change. 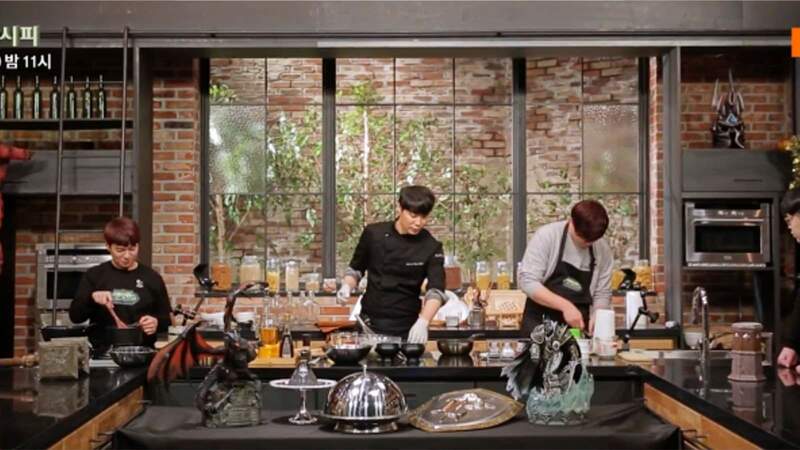 South Korea has debuted a World of Warcraft cooking show, and it looks amazing. In the show, a celebrity chef and his guest must attempt to recreate meals from Blizzard’s popular MMO. The show, roughly translated, is called ‘Wow! Recipe? The Meal is Ready’, and it looks fantastic. 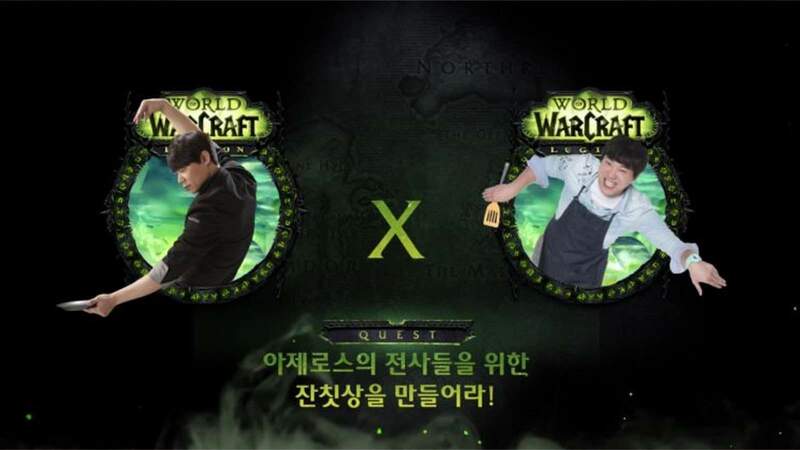 According to GameAbout, World of Warcraft fan and celebrity chef, Choi Hyun-Seok, cooks dishes from the game along with guest stars. These guests then talk all about their own experiences in the famous MMO. This World of Warcraft cooking show is not really out of the ordinary when you think about how much video gaming culture is integrated into South Korean society. The country is known among gamers as one of the biggest contributors to eSports – the country basically birthed it. This is thanks, in part, to the country’s amazing integration and coverage of pro-gaming tournaments and events into major broadcast entertainment. In fact, South Korea has three channels that are exclusively geared toward eSports. These channels enjoy around 10 million regular viewers at any given time. South Korea also boasts some of the strongest eSports and gaming communities in the world, which companies like Nexon and Activision Blizzard actively encourage and support. The introduction of a World of Warcraft cooking show solidifies South Korea’s stance as a major gaming locale. It explores ideas that so many companies have only dabbled in before, and allows them to be embraced and matured into so much more. Such is the way of South Korea, and it is enviably cool. Wow! Recipe? The Meal is Ready, will air during the week in South Korea. Sadly, there are no plans to localise the show for non-Korean audiences.